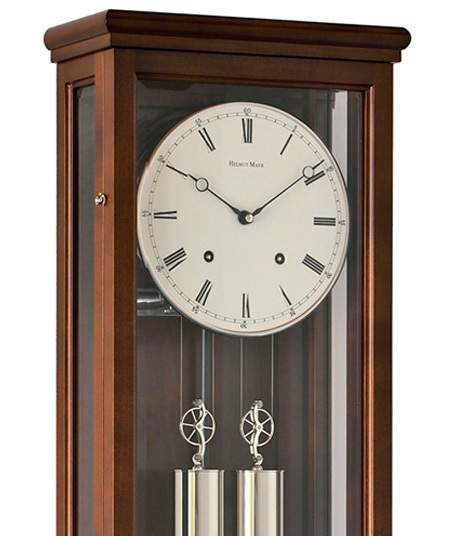 Helmut Mayr table clocks combine unique cases with finest mechanical movements. 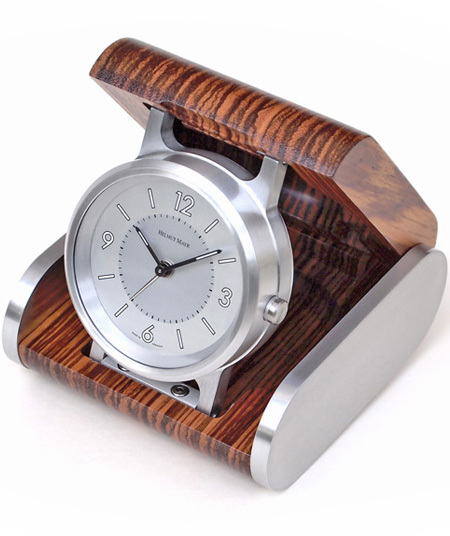 Whether used as a desk clock or to emphasize your living room: outstanding style, reliability and precision are impressive. 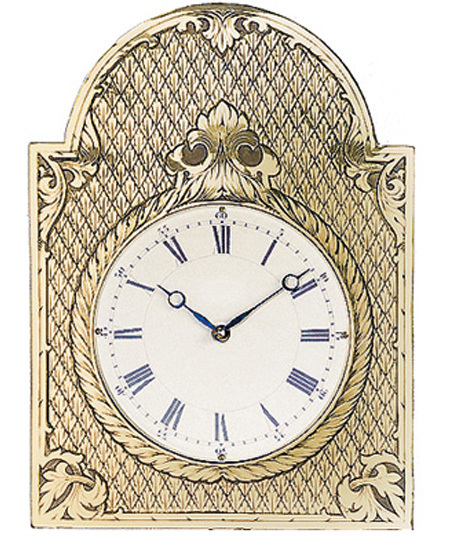 These regulators return to traditional clockmaking principles of the 19th century. 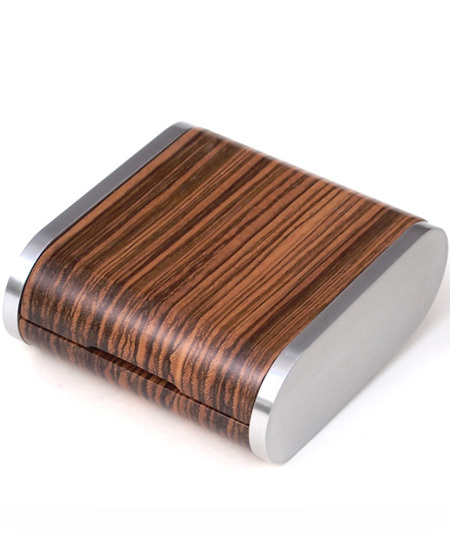 Elegant wooden cases available in various stain colours combined with our cable-driven mechanical movement. Original designs from the 18th century are faithfully reproduced in a complex procedure using copper as a base material. 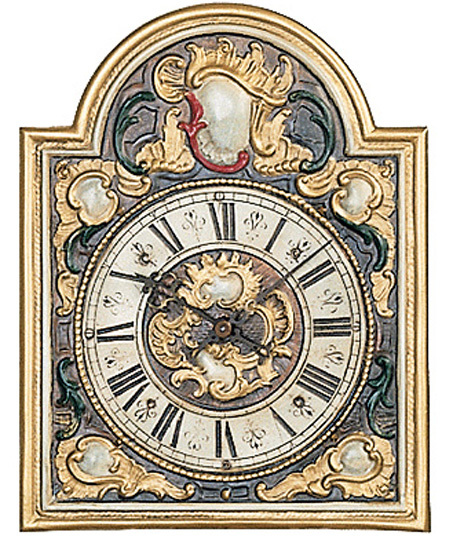 The original painted clocks have been designed by an artist. These clocks will fit any interior design as a unique piece of art. 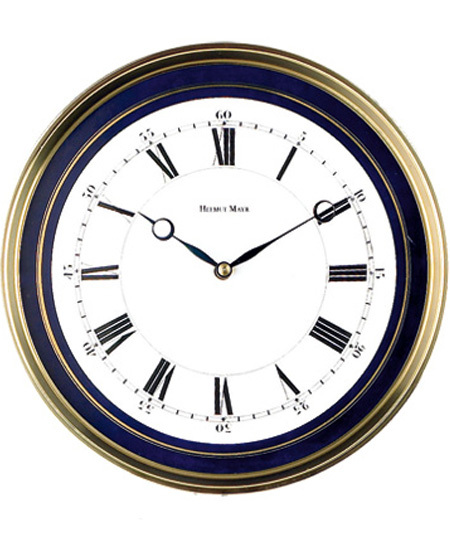 More than 30 years ago when Helmut Mayr started to produce his first sophisticated clocks, most clock manufacturers had been concentrating on cheap mass-production clocks. By then, using mechanical movements and only finest quality accessories meant a step back in time to a decade before clock production had been industrialised. Today, there is an increasing market for long-lasting and sophisticated consumer products. 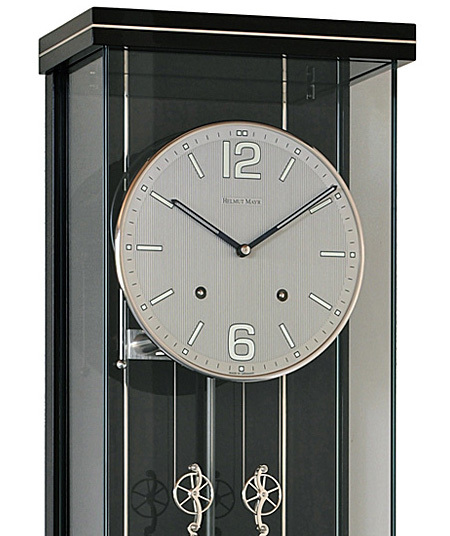 Helmut Mayr clocks are developed and produced to meet this demand. Helmut Mayr Uhren GmbH have been recently relocated to Schramberg in the Black Forest. At our new location – which once used to be a centre for clock production – we are developing, producing and distributing mechanical clocks. 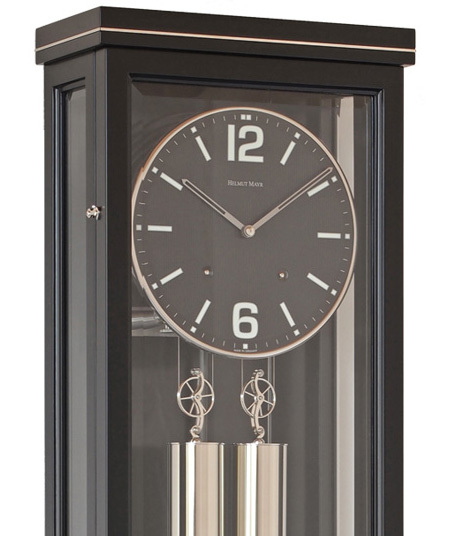 Only highest quality cases are combined exclusively with mechanical clock movements. Our regulators are manufactured by using a cable driven moment designed by ourselves. Small batch production with high precision parts, ruby and precision ball bearings ensure the ultimate in reliability and durability.